SasS Subscription Model Explained - Annual or Monthly Recurring? SasS Subscription Model Explained - Annual or Monthly Recurring? The Subscription model has its history in newspaper and magazines. 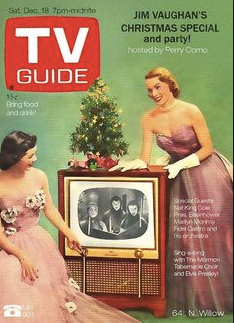 Where you would have an annual subscription for a number of editions per year – think TV Guide ( remember those, well, maybe not) vs. The Farmer’s Almanac that was a once a year purchase. For software, we’ve shifted from a licensing model. For example, a copy of Microsoft and you get the rights to use that product into perpetuity or when they no longer support. License companies have been slow to migrate to monthly subscription – preferring the half step to annual subscriptions. Subscriptions also apply to physical goods companies – like Dollar Shave Club. Where you get the same recurring product and charge every month. Subscription models today for software follow the same recurring revenue model – they can be billed in multiple frequencies – especially as you begin to test your pricing models. Why would you charge monthly, vs. annual? Though both types are referred to as Software as a Service or SaaS. Monthly revenue companies generally carry is higher enterprise valuation when they exit or sell the company. Many companies like Salesforce.com “price” their offering on a monthly basis – but they don’t actually sell a monthly product. You can pay annually or with a contract semi-annually. They have enough scale however that they can demand whatever pricing they want to dictate. On an annualized basis, you have less visibility to Churn. Churn is the percentage of companies that will not renew. This is due to the higher price point as well as the lack of regular customer interaction. Use cases for MRR are where you customers are more likely to want to test your product offering – or they don’t know if they would regularly use the features – think one-time purchase vs. recurring use. It also assumes a lower price point (lower risk) and that it’s just a charge that in essence goes under the radar on a credit card. In the simplest calculation – ARR is simply MRR multiplied by 12. But in the early years having that cash early will make a big impact on Cashflow but not Bookings.